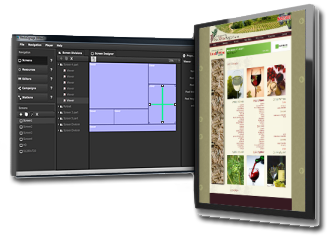 The SignageStudio is a cross platform presentation builder like no other and is at the core of the Digital Signage platform. It is where you will spend most of your time building, configuring, controlling and maintaining your complete digital signage platform. Because the SignageStudio plays such a vital role in the success of your final product, we felt we had to deliver an amazing platform which can deliver ease of use without compromising functionality; and that’s exactly what we did. Using the Studio application you can create any number of campaigns. 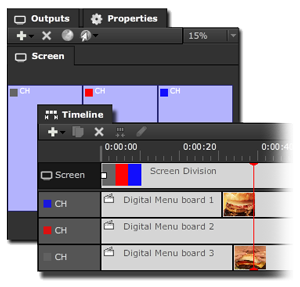 Campaigns unify a set of timelines which together construct your final display output. Below are some of the key features that are part of the Studio. The Station manager empowers you to remotely control all of the Signage Players. You can reboot, play, stop, update software, get statistics and more. All this from within the comfort of the SignageStudio station manager. Select the language of your choice. 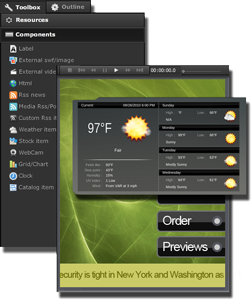 Both Studio and SignagePlayer applications are multi lingual. Enterprise members can present the application in multiple languages to attract a greater customer base.